THE MORMON CHURCH (INFORMALLY)The Church of Jesus Christ of Latter-day Saints (the LDS Church or, informally, the Mormon Church) is a Christian restorationist church that is considered by its followers to be the restoration of the original church founded by Jesus Christ. 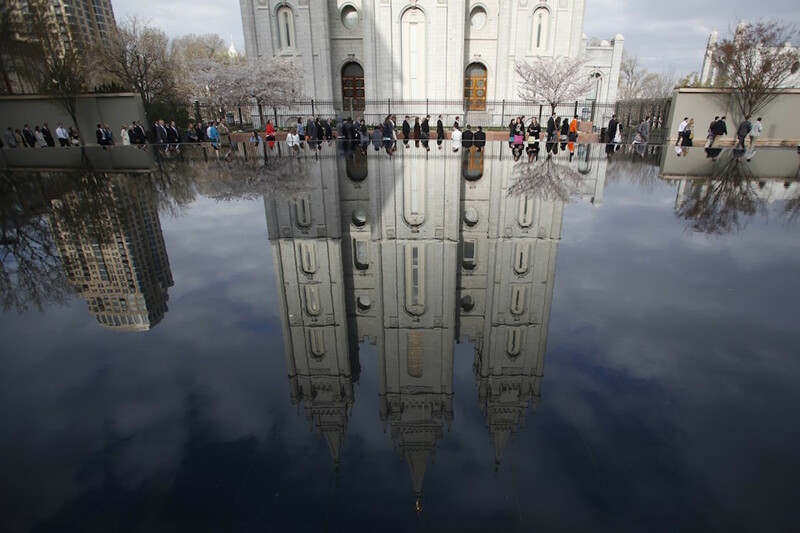 The church is headquartered in Salt Lake City, Utah, and has established congregations (called wards or branches) and built temples worldwide. According to the church, it has over 74,000 missionaries and a membership of over 15 million. It is ranked by the National Council of Churches as the fourth-largest Christian denomination in the United States. It is the largest denomination in the Latter Day Saint movement founded by Joseph Smith during the period of religious revival known as the Second Great Awakening. Adherents, often referred to as “Latter-day Saints”, or, less formally, “Mormons”, view faith in Jesus Christ and his atonement as fundamental principles of their religion. LDS theology includes the Christian doctrine of salvation only through Jesus Christ, though LDS doctrines regarding the nature of God and the potential of mankind differ significantly from mainstream Christianity. The church has an open canon which includes four scriptural texts: the Bible (both Old and New Testaments), the Book of Mormon, the Doctrine and Covenants, and the Pearl of Great Price. Other than the Bible, the majority of the LDS canon constitutes revelation spoken by Joseph Smith and recorded by his scribes which includes commentary and exegesis about the Bible, texts described as lost parts of the Bible, and other works believed to be written by ancient prophets. Under the doctrine of continuing revelation, Latter-day Saints believe that the church president is a modern-day “prophet, seer, and revelator” and that Jesus Christ, under the direction of God the Father, leads the church by revealing his will to its president. The current president is Thomas S. Monson. Individual members of the church believe that they can also receive personal revelation from God in conducting their lives. The president heads a hierarchical structure with various levels reaching down to local congregations. Bishops, drawn from the laity, lead local congregations. Male members, after reaching age 12, may be ordained to the priesthood, provided they are living the standards of the church. Women do not hold positions within the priesthood, but do occupy leadership roles in church auxiliary organizations. Both men and women may serve as missionaries, and the church maintains a large missionary program which proselytizes and conducts humanitarian services worldwide. Faithful members adhere to church laws of sexual purity, health, fasting, and Sabbath observance, and contribute ten percent of their income to the church as a tithe. In addition, the church teaches sacred ordinances through which adherents make covenants with God, including baptism, confirmation, the sacrament (holy communion), endowment, and celestial marriage (marriage blessings which extend beyond mortality)—all of which are of great significance to church members.